3rd June 2015 – Rentokil’s award-winning pop-up “Pestaurant” is hitting the streets of Cardiff today, offering a culinary experience with a creepy crawly twist. 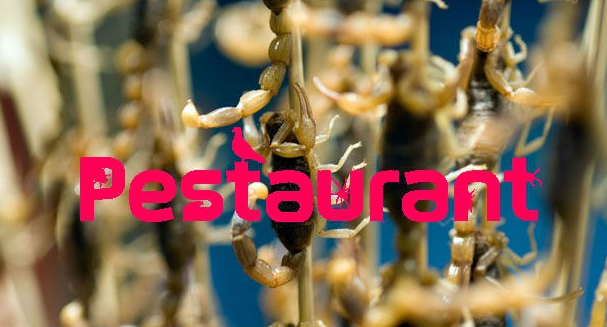 Two years after the pest control brand first tickled the nation’s taste buds by serving curried crickets in Central London, Pestaurant’s popularity has seen the event go well and truly global. Today, on the second annual ‘Global Pestaurant Day’, Rentokil’s pest control heritage will be celebrated in 11 countries around the world, with a string of pop-ups. With the UK leg taking place in Cardiff, this is the first time a full pop-up Pestaurant has visited Wales. Last year, global Pestaurant events hosted over 20,300 visitors in locations as diverse as Washington DC, Cape Town, and Dubai, and this year visitor numbers are expected to exceed this. Today’s event will see Rentokil take its bugs back to the ‘Green Green Grass of Home’ and give them haute cuisine treatment with the help of Andy Holcroft, founder and head chef at Grub Kitchen. Later this year, Andy will open the UK’s first permanent insect restaurant in St. David’s, West Wales, but for one day only he’s lending his expertise to Rentokil’s pop-up, with a ‘specials menu’ of cricket chocolate chip cookies and bug canapés. Besides serving up FREE food, a number of Rentokil experts will be on hand to dish out their expertise, answering pest questions from the public and passing on their ‘top tips’ for avoiding pest problems.